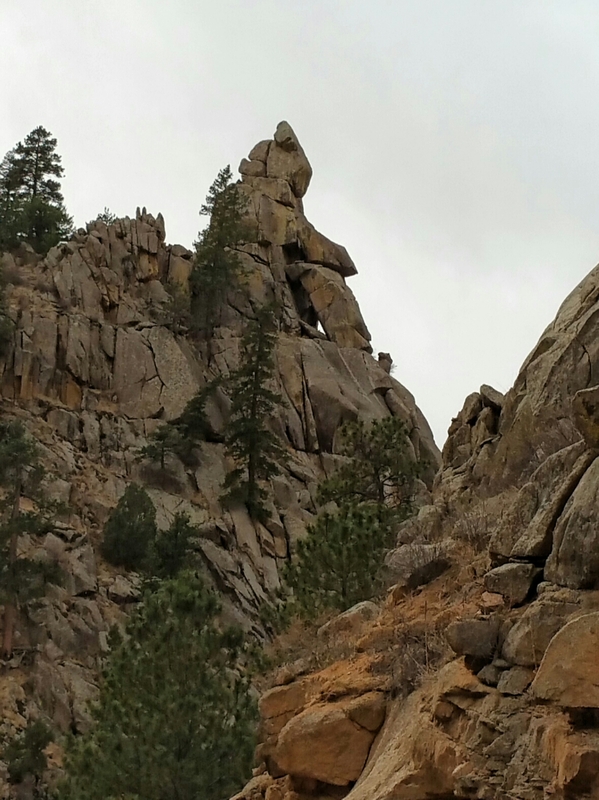 This entry was posted in Haiku, Life, Recent Posts and tagged Allenspark, Audrey Dawn, Colorado, Eternity, Faith, Haiku, Love, Oldest Daughter & Redheaded Sister, Philosophy, Photography, Poem, Poetry, Rocky Mountains, Thinking, Travel, Writing. Bookmark the permalink. I imagine that is just what adventurous spirits do, pause for a moment and looking due west think about the adventures ahead. I bet you could, Photographer Philosopher Extraordinaire. You find the best places for thinking. Your blog and photos prove it. Our spirits will always look towards the next adventure. Smiles. I appreciate you, Sir. Nothing better than due west. Thanks for dropping by. Glad I finally made it back into your top 500. Of course, I’ve been enjoying the silence. No pressure. Just my way. Oh, you stop! You been sleeping all this time, Jay? Rough winter? Glad you liked the imagine. I pointed it out to you, I think. Pretty sure I did. Smiles. You’re an excellent tour guide. Kinda liked that outfit, you know. Haha. I don’t have any “outfits”! I think you’re lost or seeing a vision. Laughing. I know I’m a vision in your eyes. You don’t even have to say it. Giggles. Yes, indeed! Your poem suits perfectly and thank you for sharing it here!!! ♡♡ Thanks for mentioning the pic..aww, so kind, you! 🙂 Hugs!! Oh boy. I think he is thinking. Do you see him? I saw him instantly, you know. This is funny: I saw him more yesterday than today. I don’t know! But it vexes me. I appreciate your comment. Humbles me and offers peace in my soul to know others read my work and see it for what it is. I thank you ever so. Thank you, Sir. I will pop over and read, of course. Thank you for asking. Enjoy your weekend, Weaver. The emotional depth of your poem betrays its sublime simplicity. And the photo is wondrous. So very glad you are back, Audrey, in all ways. Like this, Audrey. Does the stone face eventually yield a smile? Ooh, a Haiku — and a GOOD one, too! Lovely photos — but those rocks look like a treacherous climb! Yes, tis! Sometimes it’s good to let everyone know what I’m doing when I’m not here saying hello. Yes, I think climbing those rocks would take more of an adventurer than what I claim to be, Debbie. Thank you for commenting on my posts. Your loyalty is what I’m thankful for this day. Happy Friday!! Thanks, John. Kinda deep, but the pretty rocks help ease the mind, I think. That is what it looks like Audrey – great job. Thank you, Dan. So glad you see him up there, too.